Here’s a really good looking strategy game called Armed that I think Viipottaja tipped us several weeks ago. (I got around to filming this about two weeks ago and there was an update since this was published today). The game looks stunning. It’s one of those build bases and units and annihilate the opposing team type of game. It’s not real time, you take turn by turn (kinda like chess) but you do see the units and construction move and attack within that time. After selecting what buildings and units to build/move/upgrade, pressing end turn allows that process to happen. During that time you will also accumulate income which is needed to pay for those things you’re building. I think there were little instructions at the beginning telling you how to work the controls. I think there’s an online multiplayer aspect to this but I haven’t tried it. The game runs great, no issues so far. You can pinch zoom, and pan around the map. The only thing I couldn’t work out is how to initiate rotation. I kept doing it by accident and then I was able to rotate but I never did work out what the gesture was to do that. The game is £2.99 on marketplace (I’m sure I only paid £2.29 for it when I first downloaded it, and that’s not some kind of app sale that you get on Xbox Live apps). ARMED! 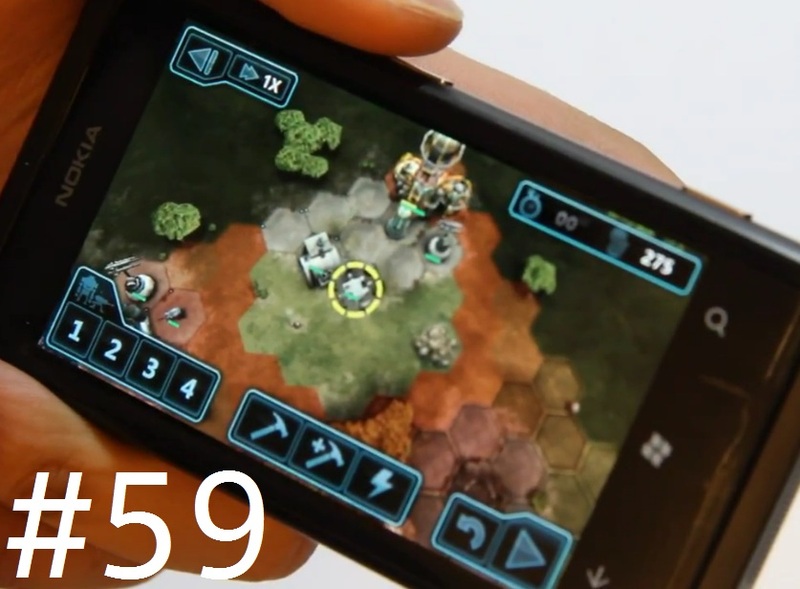 is a sci-fi turn-based multiplayer strategy game for Windows Phone created by indie studio, Sickhead Games. Part RTS, part tabletop strategy, ARMED! puts you in command of a fleet of futuristic tanks, turrets, and robots with one goal: infiltrate enemy territory, crush their forces, and destroy their headquarters. Play ranked head-to-head games against online opponents, challenge your friends to a correspondence game, or battle the AI in single player mode. • Play custom correspondence matches against friends. • Scoreloop integration with photo profiles. « Doodle God available at Nokia Store for Nokia N9!